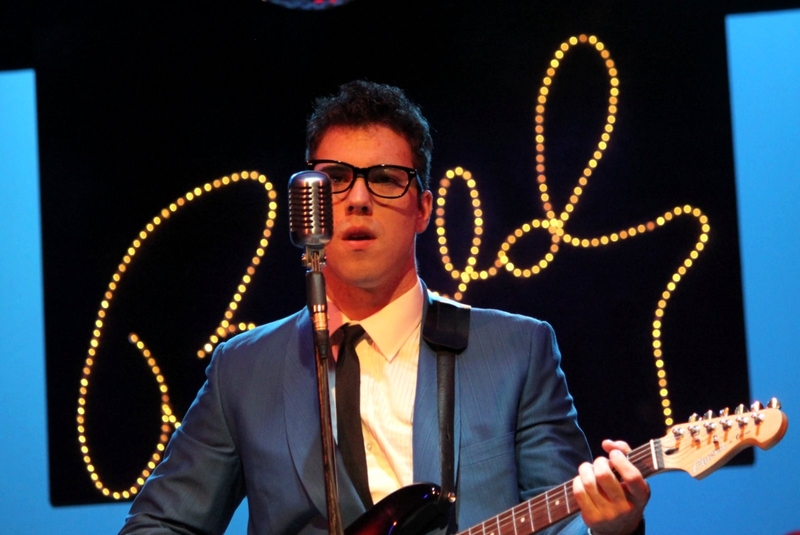 Classic tunes combine with a concert-like telling of the phenomenal, but tragically short life of Buddy Holly to offer an entertaining evening at the theater in The Buddy Holly Story running through Aug. 1 at the Ivoryton Playhouse. The show follows the life of Holly and the Crickets (Jerry Allison and Joe Maudlin played by John Rochette and Daniel Orion Glynn), from their early days with recording for Norman Petty (Steve Gagliastro) through the group’s breakup and their separate careers following. “I want to do things that people haven’t even started to think about yet,” says the young man, whose music went on to inspire, among others, the Beatles, the Rolling Stones and Bob Dylan. Along the way, Buddy marries Maria Elena (Samantha Joy Pearlman), who has prophetic visions about her husband’s plane going down in flames, and sings with legends The Big Bopper (a very good Robert W. Schultz, Jr) and pelvis-swirling Richie Valens (Khalid Rivera). The last part of the show, written by Alan Janes and Rob Bettinson, who originally directed, features moments from the final performance of the three legends at Clear Lake, IA, before boarding their ill-fated plane which crashed in an Iowa corn field in a snow storm. Some of the highlights in this production come from minor characters: Danielle Erin Rhodes (Vi Petty) commands the stage whenever she’s on it. The night I attended, her quick improv covered for a malfunctioning musical instrument and made the failure seem part of the script. Female backup singers (Pearlman, Allanna Burke, Amaris Montoya and Gayle Elizabeth LaBrec) do their job well and stand out as jingle singers, performing an ad on the radio. 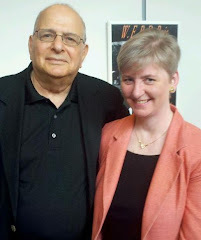 Also shining are Antoine L. Smith and Patryce Williams as performers at Harlem‘s Apollo Theater where Holly and the Crickets, who sound “black” but who stun the crowd by being white, perform a concert. Smith and Williams milk the scene’s irony and humor when the audience at the fittingly named Ivoryton Playhouse, where most everyone is white, represents the crowd at the Apollo. The theater’s real raffle also is deftly woven into the show as part of the concert at Clearwater. If you’re a fan of the music, you’ll be tapping your toe and at some points, singing along with the entertaining ensemble. The action takes place on a sparse set (Cully Long, design) with the actors doubling as musicians (music direction by John S. De Nicola). Performance times are Wednesday and Sunday matinees at 2 pm; Wednesday and Thursday at 7:30 pm, Friday and Saturday at 8 pm. Tickets are $38 for adults, $33 for seniors, $20 for students and $15 for children and are available by calling the Playhouse box office at 860-767-7318 or by visiting our website at www.ivorytonplayhouse.org (Group rates are available by calling the box office for information.) The Playhouse is located at 103 Main Street in Ivoryton.